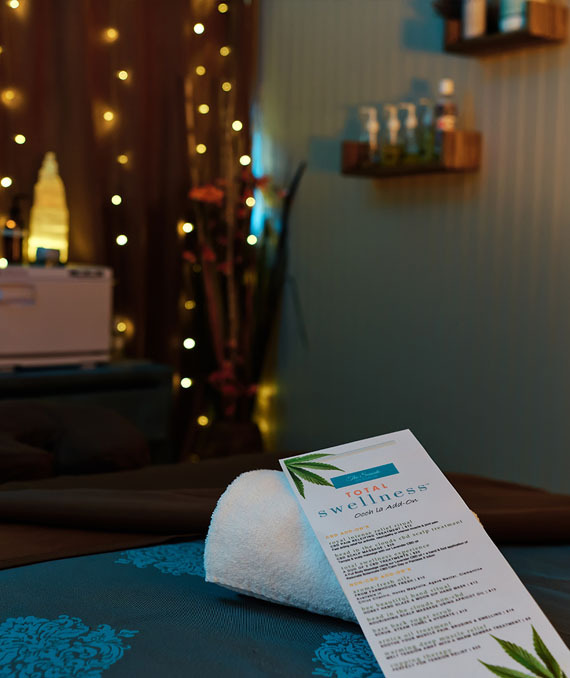 Restorative 80 Minute Massage, Farm to Spa Body Wrap, Eminence Customized Facial, Farm to Spa Hand Retreat and Foot Retreat, Shampoo & Blowout, plus a Catered Spa Lunch. Restorative 50 Minute Massage, Eminence Customized Facial, Farm to Spa Body Glow, Seaside Essential Manicure and Pedicure, plus a Catered Spa Lunch. Warm Honey Massage, Farm to Spa Body Glow, Farm to Spa Body Wrap plus a Catered Spa Lunch. Restorative 50 Minute Massage, Farm to Spa Facial, Seaside Essential Manicure and Pedicure, plus a Catered Spa Lunch. Restorative 50 Minute Massage, Gentleman's Classic Facial, Seaside Essential Manicure and Pedicure plus a Catered Spa Lunch. 50 Minute Duet Massage & side-by-side Farm to Spa Foot Retreats. A perfect way to spend quality time with someone special!